For over twenty years, Valerie Green/Dance Entropy has been dedicated to providing performances and workshops for underserved populations, including at-risk youth, trauma survivors, the formerly incarcerated, addiction rehabilitation patients, adults and adolescents with disabilities, senior citizens, immigrant communities and more. Click here to learn more about Valerie Green training methods. Past Locations/Partners: Gateway Counseling Center, Queens Public Library, Variety Boys & Girls Club of Queens, YMCA, Alley Pond Environmental Center, Hanac Ravenswood Neighborhood Senior Center, Forest Hills Neighborhood Senior Center, Rego Park Neighborhood Senior Center, Sunnyside Community Services Senior Center, Jacob Riis Senior Center. VG/DE provides a number of free performances onsite at Green Space, at partner institutions and in public spaces for local youth and their families. The interactive dances in these performances encourage creativity, discovery and inquiry among young audience members, engaging them in arts & culture programs in their own neighborhoods and schools. 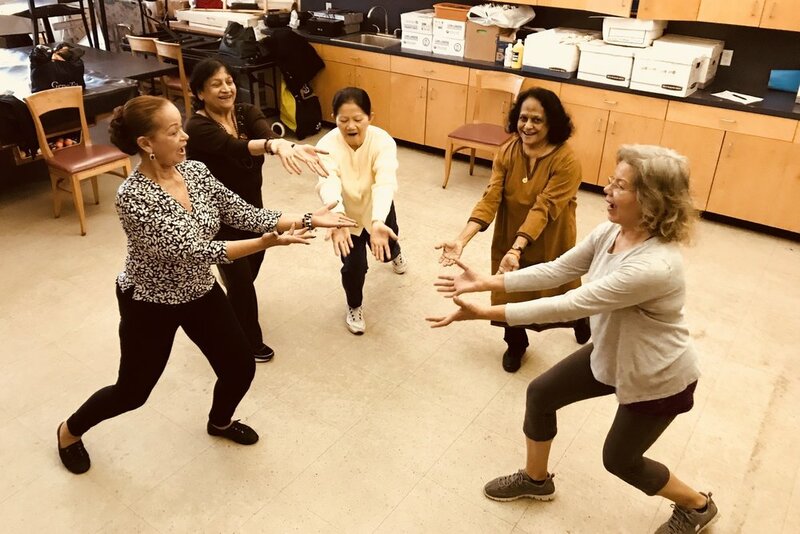 VG/DE company members provide these workshops for the public at various festivals and arts organizations targeting K-12 school students, particularly from Western Queens, and their families. Past Locations/Partners: Flushing Library, Gantry State Park, Hong Kong Dragonboat Festival, Queens Botanical Garden, Kupferberg Center for the Arts, New York City Parks Department, Socrates Sculpture Park, Green Space, and more. In over 20 years working with dancers of all levels, from the absolute beginner to the consummate professional, Valerie Green has developed her unique teaching style, Dance Your Frame. She has taught master classes and workshops to dancers of varying ages locally in New York, nationally, and in countries as far reaching as Azerbaijan, Armenia, India, and Cuba. 92 St. Y, City Center Studio, Jamaica Center for Arts & Learning, Green Space Studio, Tuscarawas Dance Arts Center, Belgrade Dance Institute, Chandigarh Institute of Performing Arts, The Governor's School for the Arts, Hampton University, Old Dominion University, Christopher Newport University, Spectrum Dance, Cornish College of the Arts, Dance Fremont!, University of Washington, Velocity Dance Center, Lane Community College & Western Oregon University and more. In this signature series led by Valerie Green, participants work towards finding a physical expression of buried emotional wounds to promote processing, release, and healing in a nurturing and safe space. Valerie Green and VG/DE teaching artists lead these workshops for: formerly incarcerated peoples, domestic violence victims, addiction rehabilitation patients, victims of sexual trafficking, social workers at partner centers, veterans, and any survivor of trauma, pain or heartbreak. Past Locations/Partners: NYC Department of Corrections at Riker’s Island, Hour Children, Greenhope Services for Women, Pam’s Place, Safe Horizon, Crime Victims Treatment Center, Goodwill Citiview, College and Community Fellowship, Phoenix House, Elmhurst Hospital Psychiatric Ward and Queens Library. Dance Entropy provides Artist in Residence partnerships tailored specifically to venue and educational institutions needs. 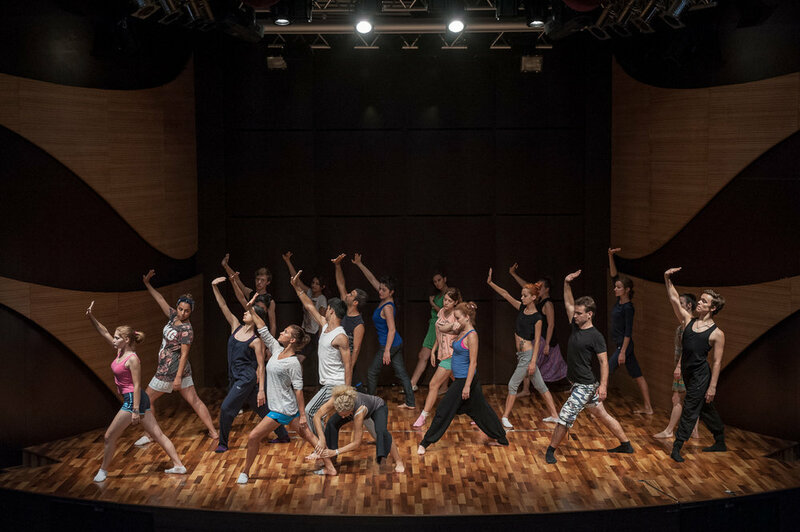 Offering ongoing teaching programs, master classes, open rehearsals as well as commissions of new or existing repertory works for performance. Past Locations/Partners: NYC Department of Education and Brooklyn Institute for Liberal Arts.